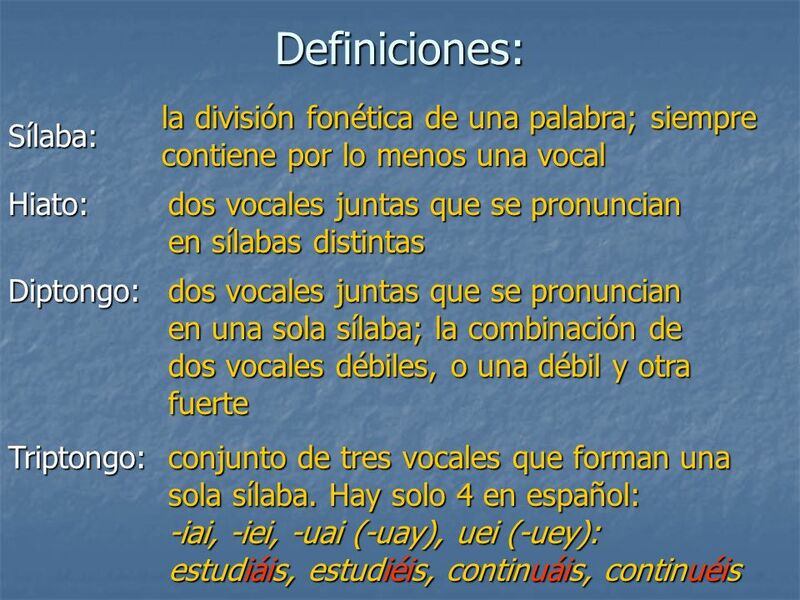 Las vocales: a, e, i, o, u After the letters c and g these vowels influence their pronunciation: Hard soundsSoft sounds agañare general calmainocente calmainocente. 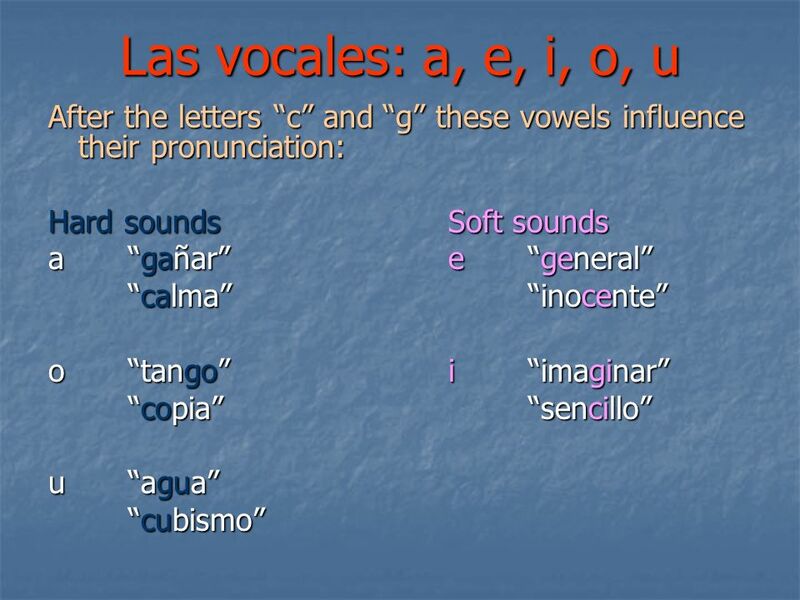 Descargar ppt "Las vocales: a, e, i, o, u After the letters c and g these vowels influence their pronunciation: Hard soundsSoft sounds agañare general calmainocente calmainocente." Las Reglas de Los Acentos 3. 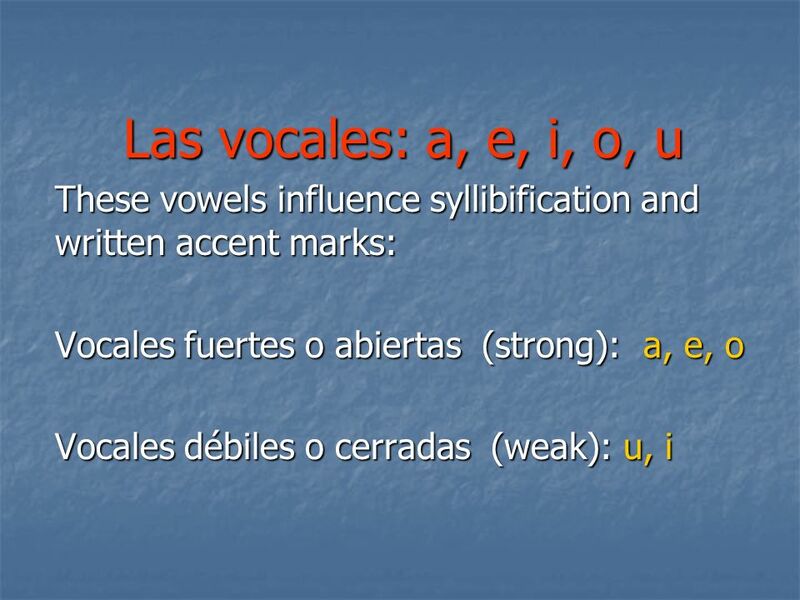 Las Reglas de Los Acentos 6 Los Acentos Accent Marks.